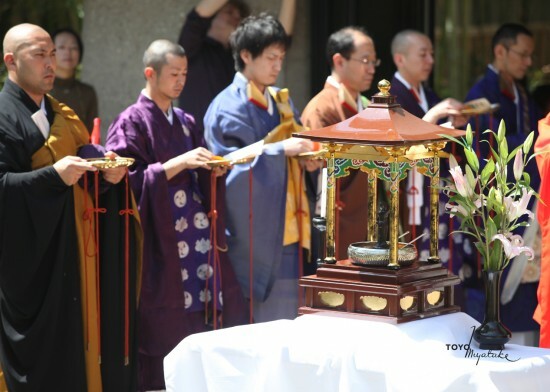 The birth of Buddha was celebrated last Sunday at the JACCC in Little Tokyo by the Los Angeles Buddhist Church Federation. During the service, sweet tea was poured over a statue of the baby Buddha, symbolizing the sweet rain that fell when the Buddha was born. Children from Zenshuji Temple’s Terakoya school performed songs and Rev. Jan Chozen Bays, a Zen priest and pediatrician, gave a talk on how she has implemented Buddhist ideals in her medical practice. 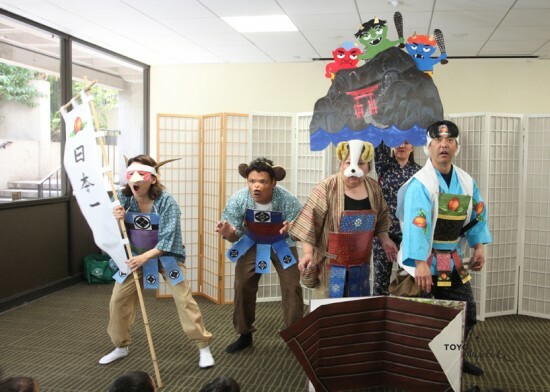 The Grateful Crane Ensemble performed “Project Momotaro,” a set of three classic Japanese children’s stories. Awards were also given out for a children’s art contest and photo contest. The winners will be on display at the North Gallery of the JACCC through Sunday.